Here is a most special, one of kind necklace hand made in our studios for you. While we can reproduce this style, the rock crystal itself cannot be copied. 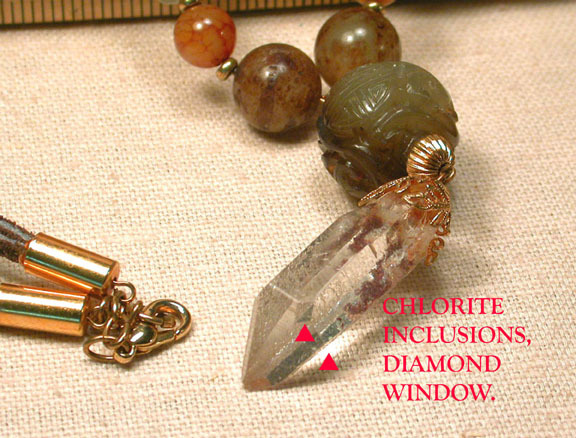 14k goldfill findings and cocoa suede connect taupe and golden antique soochow jade beads, clear green fluorite and carved serpentine to a super-clear Arkansas rock crystal with a rare diamond window, tan chlorite inclusions, a chip and a baby crystal. 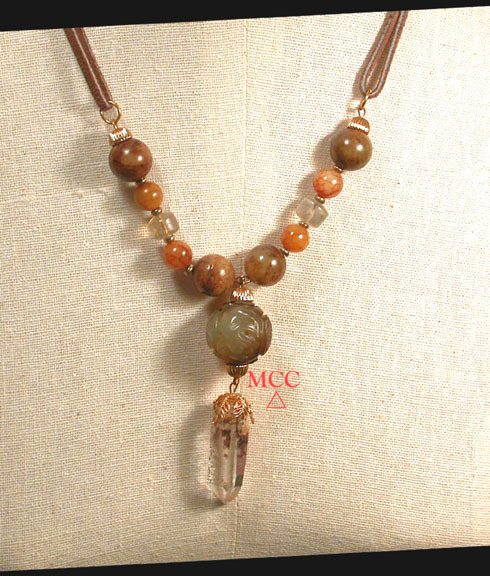 20" long with 3" of pendant, it will go with your turtle neck sweaters as easily as right now with a tee.